Recover faster with Game Ready! With innovative ACCEL® technology, Game Ready® enables the simultaneous circulation of ice water and intermittent pneumatic compression through anatomically specific wraps, uniquely integrating proven cold and compression therapies in a dual-action treatment system that sets a new standard of care in injury and post-op recovery. 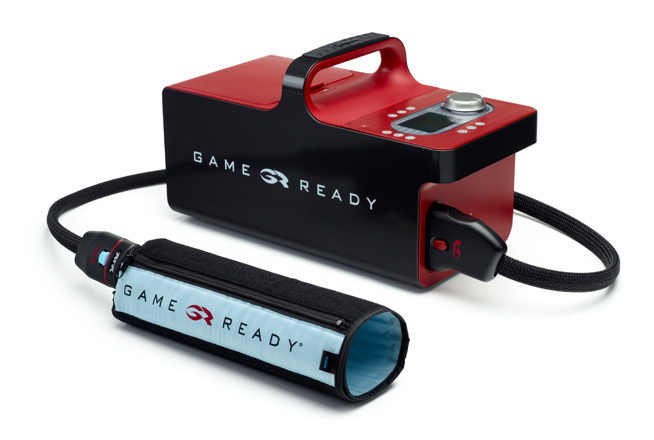 Game Ready delivers active pneumatic compression and adjustable cold therapies to speed and enhance the body’s natural repair mechanisms against edema and pain.